Key difference: Though Wikipedia and WikiLeaks are non-profit organizations, they function totally differently, that is, Wikipedia is a free online informative encyclopedia, whereas WikiLeaks is a free publishing online site where secret news are revealed to the society. Wikipedia is an online encyclopedia which was founded by the Wikimedia Foundation. It was launched on January 15, 2001, by Jimmy Wales and Larry Sanger. 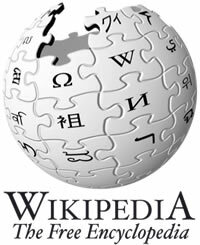 Wikipedia comprises of almost 30 million articles, written in 287 languages, including over 4.3 million in the English Wikipedia. Globally, Wikipedia is an open site and is the largest and most popular general reference work on the internet. It ranks among the top ten famous websites, globally on Alexa, and has an estimated 365 million readers worldwide. It began as a complementary project with Nupedia (a free online English-language encyclopedia project) and is considered to be the well-known global informative internet site. It consists of articles related to the respective topics and subjects. These articles are often written by experts and reviewed under a formal process. These articles are regularly updated and edited with features including the current and new topics. Editors may view the most recent changes on the website, which are displayed in reverse chronology. Regular contributors often maintain the “watchlist” of articles, in order to easily track the recent changes in the articles. The articles of Wikipedia are also available in many languages in accordance to the comfort of the candidate. This makes the content more understandable and comfortable to understand and study. These contents are afterwards analyzed, formatted and edited with corrections by the experts, with the updated new versions. Its goal is to provide the information regarding any unknown topic and spread the knowledge. WikiLeaks is a non-profitable website, which was initiated in 2006 in Iceland by the organization Sunshine Press. It is a free publishing site, where the secret and true news especially regarding the governments are revealed, as they follow their slogan “We open Government”. The news published includes the businesses and whistle-blowing type of matter. 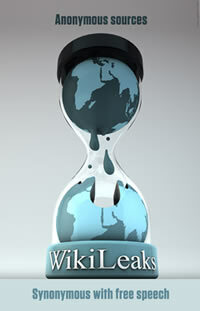 The wikileaks.org domain name started its journey from 4th October 2006 and ended on December 2006. Julian Assange, (Australian Internet activist) is the general recognized founder, director and the editor-in-chief of WikiLeaks. He exposed its availability to the society on January 2007. WikiLeaks is a news exposure website, where the unrevealed matter, business deals and government hidden contents are exposed to the society. It makes the society and public aware of the present scenarios going on the economic and social world. One such important activity is to publish the original source material with the news stories, to the readers and historians, in order to represent and view the evidence of truth. Its prime motive is to leak the important and real news regarding any confidential matter. There are journalists and whistleblowers working in WikiLeaks, who know that, they are free to present the true news. The news which WikiLeaks receives, undergoes several crucial procedures before getting presented to the society, as it plays a vital role of being confidential information. It generally includes the news forms such as the potential criminal prosecution, insurance files, financing, government related matters, etc. In recent times, the group of WikiLeaks has released a number of significant documents which have become the front-page news items. One such recent release includes the documentation of equipment expenditures and the holdings in the Afghanistan war and corruption in Kenya. It is a non-profitable online informative encyclopedia. It is a non-profitable site where secret and true informative news is published. There are 2.6 million articles present on Wikipedia. There are hundred and thousands of documents present on WikiLeaks. It was founded by Wikimedia Foundation in January 2001. It was founded by Sunshine Press in December 2006. Created by Jimmy Wales and Larry Sanger. It’s the 6th world famous website to be browsed. It ranks 4,629 in all the websites. It deals with serious topics only. It deals with the topics such as the politics, business and whistle-blowing. Its motive is to provide general and wide research information to the people. Its motive is to inform about the real and unaware and secret news in the society. It is not allowed to leak the information. It is a neutral site of information. It is an anti-war type of site, which publishes news, which is generally hidden from the society.